Secret: something that is kept or meant to be kept unknown or unseen by others. I have a habit of writing little notes to myself. Usually they are reminders of errands that I have to make. The special notes, secrets, and thoughts are kept in my sketchbook. Image size: 3-1/2" x 5"
Collagraph printed on Rives BFK tan printmaking paper with hand painting. Print is mounted on acid free foamboard and packaged in an archival plastic sleeve. 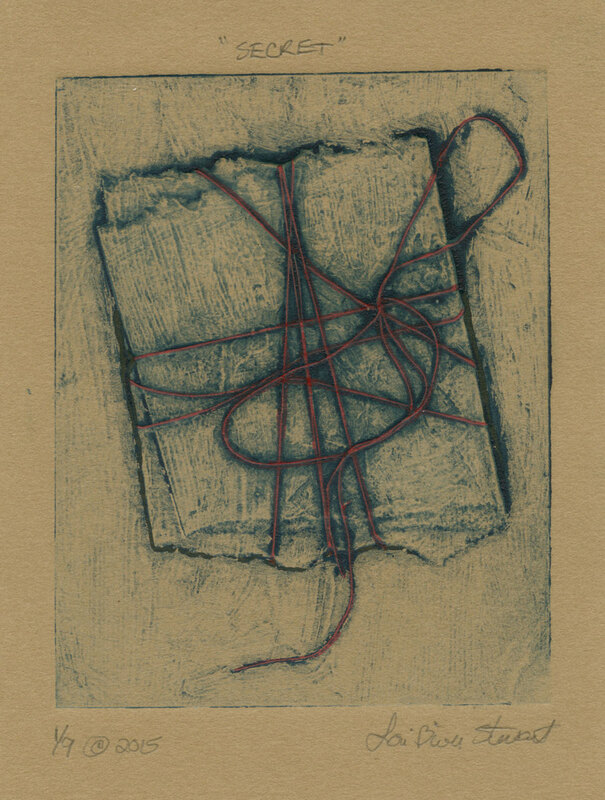 Collagraph Printmaking of a folded secret using 2 colors. Hand pulled by myself in my studio in Iowa.